Cutting tools and particularly saw blades are efficient and durable only if their profile and surface finish are appropriate to the task. Thus the ability to measure these characteristics is one of the most crucial requirements for their design and manufacture. Manufacturers routinely require a quantitative measurement tool that can image the dimensions and forms of the saw teeth, typically shaped like shark fins. The Contour LS-K was launched recently for just such a purpose. Traditional methods of evaluating blade characteristics involve imaging the blades from predefined angles using a 3D stereomicroscope. The biggest issue here was achieving correct blade position so that the images obtained were suitable for the measurement. After this hurdle is crossed, straightforward analysis is done to measure the radius from tooth to tip of the teeth, the pitch, the form and any defect burrs, all of which change the results obtained on wear testing of the teeth. The use of this type of technique depends a lot upon the operator’s skill and past experience. Both human error in the position of the part, as well as the subjective data that makes up part of the final testing, often introduce errors into measurements acquired in this fashion. Variation of this sort in the way samples were positioned, data was collected, and operator analysis was performed, previously all led to challenges in quantitative comparison of measurement data sets. The new Contour LS-K 3D Optical Microscope was tested to see if its use would eliminate such errors and increase the accuracy of the data obtained from cutting blade evaluation. The Contour LS-K makes use of LightSpeedTM focus variation technology from Bruker to image the characteristics of the form and the surface of the blade. This technology uses vertical scans of the tested part using a field with small depth. At this point proprietary algorithms are applied to the scan data, producing 3D images. The ability to produce a variety of display types, such as 2D contour and 3D images, means that the analyses become very reliable, as well as creating true color images at very high quality, shown in Figure 1. The bright field objective lenses used in this device are ideal for live image acquisition. This helps to position the part correctly, and to image parts which have awkward geometrical attributes that defy other methods of measurement. Several objective magnification settings are provided, allowing the right one to be chosen for the tested surface. A ring light is provided separately, to light the objective off-axis, in addition to the primary on-axis lighting. 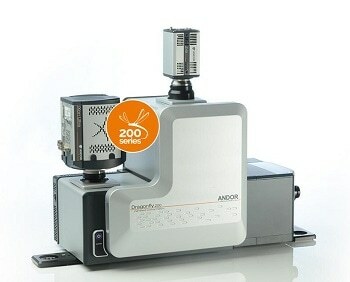 This system gives the ability to acquire live images as well as measurement results of better quality. Another advantage is that proper fixture setting of the part allows full automation of the Contour LS-K in order for multiple parts to be tested without the need for any intervention by the operator, as Figure 2 shows. An understanding of blade tribology is vital for manufacturers. Being able to examine blade wear characteristics has shown that there is often a correlation between the form of the blade’s critical surfaces and ultimately function. Just making some simple dimensional alterations to these surfaces has led to major changes in the longevity of the blade. This study showed that critical wear data could be acquired using the Bruker Contour LS-K 3D Optical Microscope, not just as a one-time event but to watch the process and compare data over time with a high degree of reliability. In addition, the Contour provided superior images compared to traditional methods, as shown in Figure 3. The human error factor was also reduced to minimal levels, as operator dependence is very low and each intervention can be viewed with the integrated reporting features of the Vision® software. The Contour LS-K 3D Optical Microscope thus offers an imaging method that is simple to use, that is accurate and reliable, and that takes little time to complete. This reduces built-in imprecision by eliminating the identified root causes of error, thus allowing the user to acquire dependable data. This helps cutting tool manufacture to be benefited by speeding up innovative blade profile development in this field, while making sure that quality control standards are complied with in regard to designs already in use. Figure 1. Vision 2D contour plot, 3D map, and color graphic display of saw teeth. Figure 2. Multiple blades mounted for automated inspection. Figure 3. Various tooth pitch measurements.